In this fast-developing society, cafes and restaurants are filling up our nation like sardines in a can. 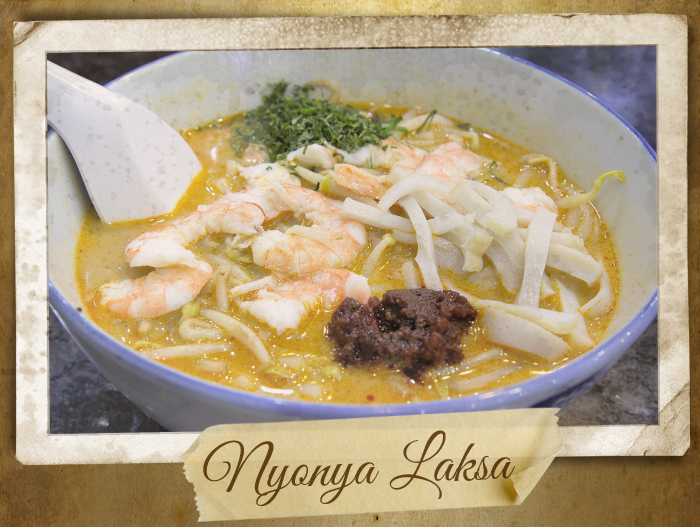 In spite of the fact that traditional food are maturing itself as modernity takes over Singapore, we have a strong bond with these food that has been filling up our tummies since young and even until now. Here are 10 local food that Singaporeans will never forget. 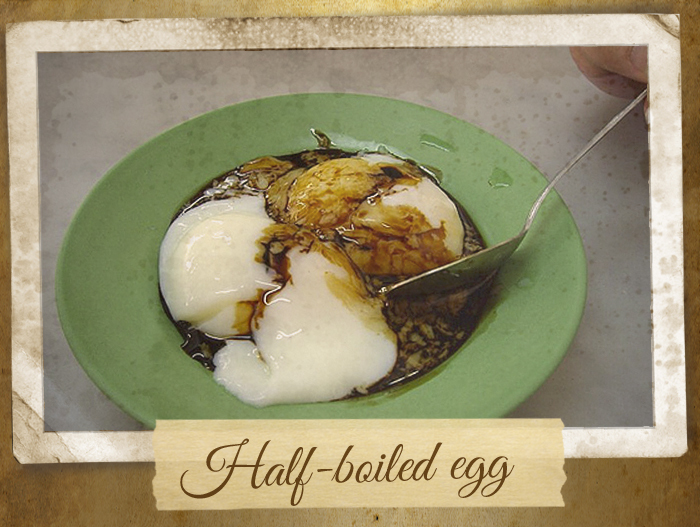 Typical Singapore’s olden days breakfast that last till now, consists of 2 wobbly half-boiled eggs, drizzled with a little soy sauce and a sprinkle of white pepper powder, often accompanied by a cup of kopi and some loti. Note: available at under-the-block-kopitiam and might seen with an uncle wearing farsighted glasses reading newspaper. 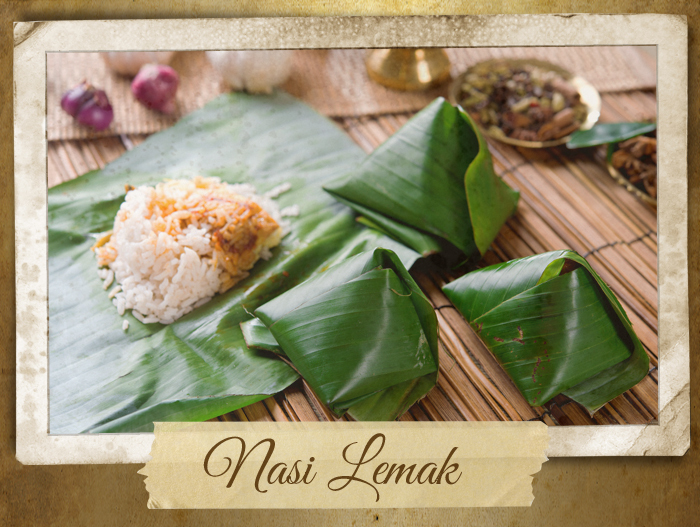 Traditionally a breakfast to feed local fishermen when Singapore was still a fishing village, nasi lemak was served in a triangle leaf-wrapped packet with sides of some ikan bilis, sambal chilli, toasted peanuts, and half of a hard boiled egg. You can still find it in various part of Singapore that sells for $1 or so. 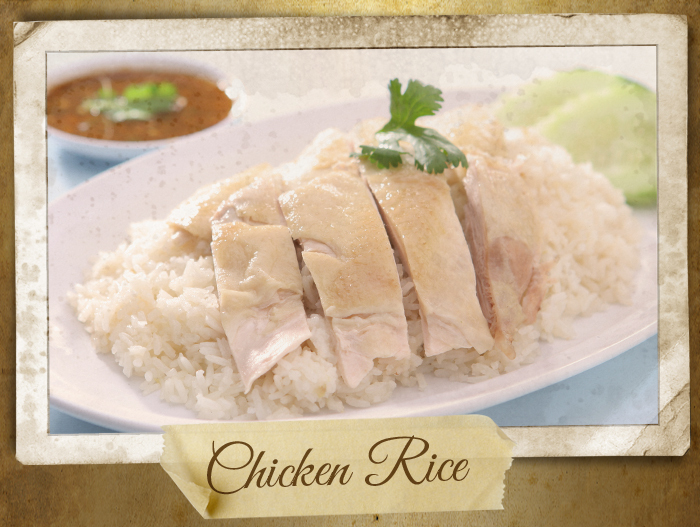 For some, it’s hard to live without chicken rice. Especially those that are wrapped in brown wax paper, where upon opening reveals deceptively simple poached chicken meat lying on top of fragrant rice cooked using chicken stock. And not to forget eating them with spicy chilli sauce and dark soy sauce. One of Singapore’s iconic food, it will definitely be unusual to see that not one stall is selling it in hawker centres. Thick rice vermicelli noodles drenched in rich and creamy coconut milk “curry-like” gravy, and then topped with fresh cockles, crunchy bean sprouts, various toppings such as prawns, chicken, taupok, fish cake slices, and of course reddish chilli paste and distinctive chopped dark green laksa leaves. Often unanimously served on red plate with a pair of red chopsticks, this is an old-time favourite which started off by using leftovers from meals and sold in the early days of Singapore. 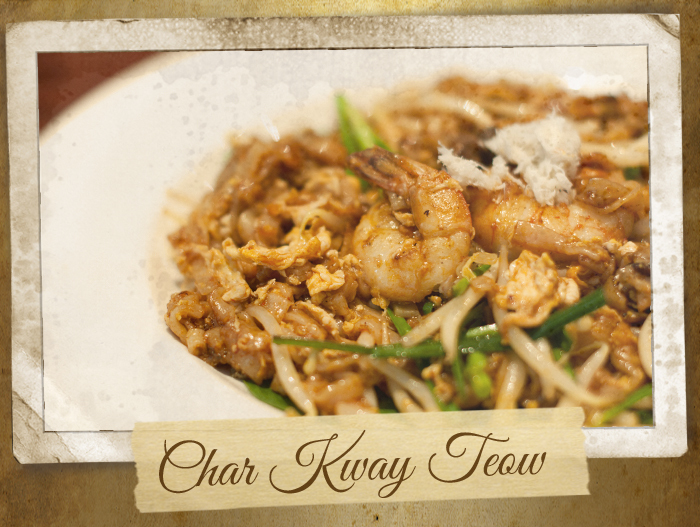 It is a mixture of thick kway teow, yellow noodles, fresh cockles, fish cake slices, bean sprouts, thin slices of lap cheong – all colored dark by the sauce and usually glistens mercilessly under hawker lights. 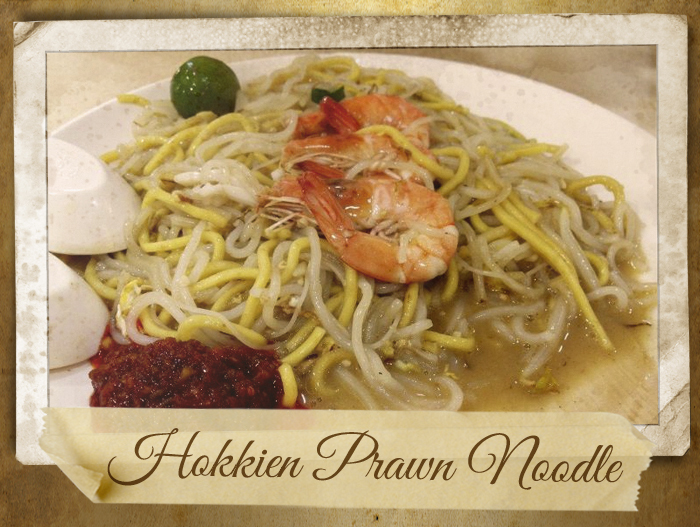 Singaporeans (and some foreigners) can’t be any more familiar with this stir-fried perfectly gooey dish of thin yellow noodles with vermicelli, served with a decent heap of prawns and squid. Seldom served without sambal chilli paste on the side. 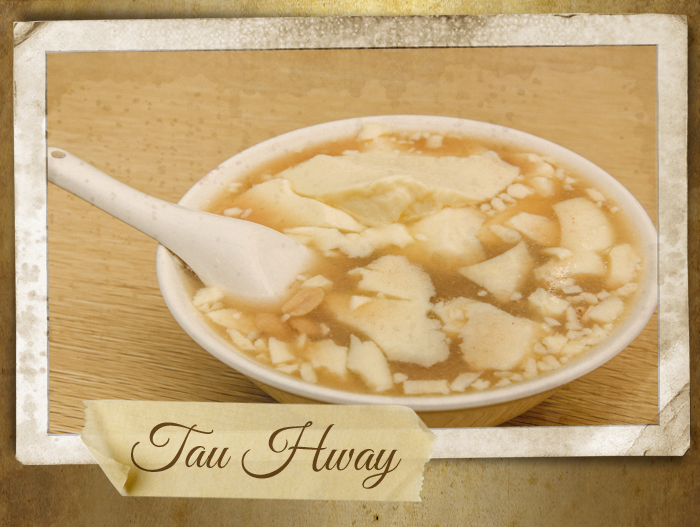 As kids or adults, a serving of soft, smooth tau hway is a perpetual ideal dessert to end every possible meal. Especially when it’s topped with a dash of sugar syrup atop and eaten together with youtiao. They say, simplest food are often the best. 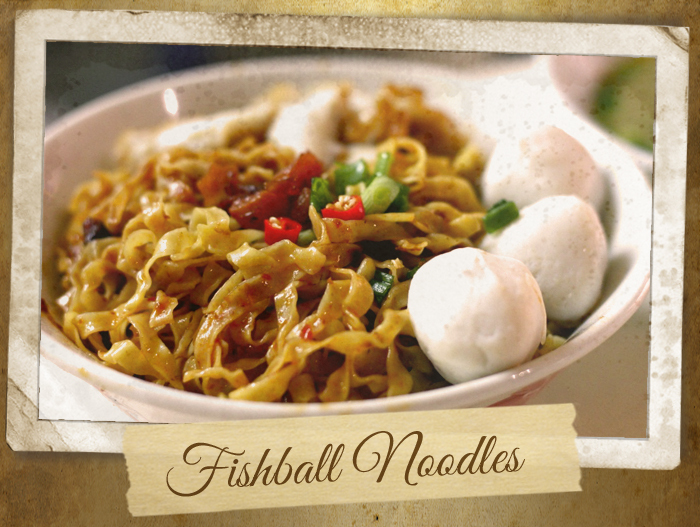 Singaporeans seems to know that very well for we have the fishball noodles. It comes with a small bunch of noodles of your choice, a few bouncy fish balls, slices of fish cakes, some minced meat, and garnished with fresh and fried spring onions. All these lying on top of a bed of red tomato sauce waiting for you to mix them together before devouring every bit of it. 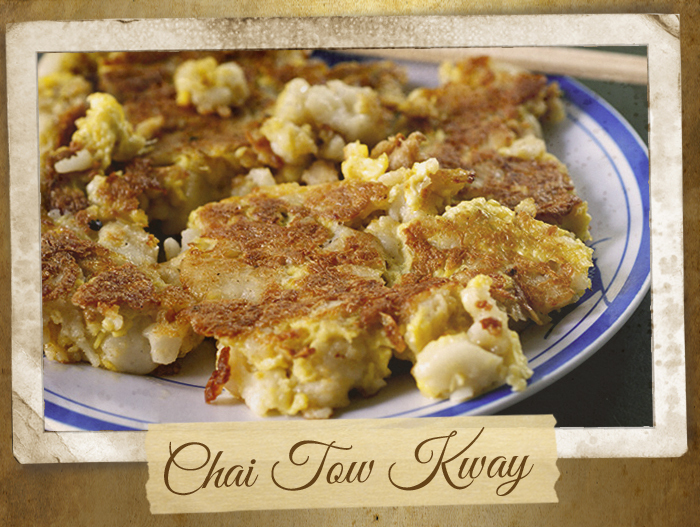 Before the ang moh carrot cake became known in Singapore, carrot cake has always been known as the fried black or white lumpy rice cakes fried with white radishes – yes, of course there are no carrot in chai tow kway. This dish is basically a Chinese burrito – cooked turnip, carrot and cabbage together with crushed peanuts, chilli, and sweet sauce wrapped in a round, almost translucent skin. 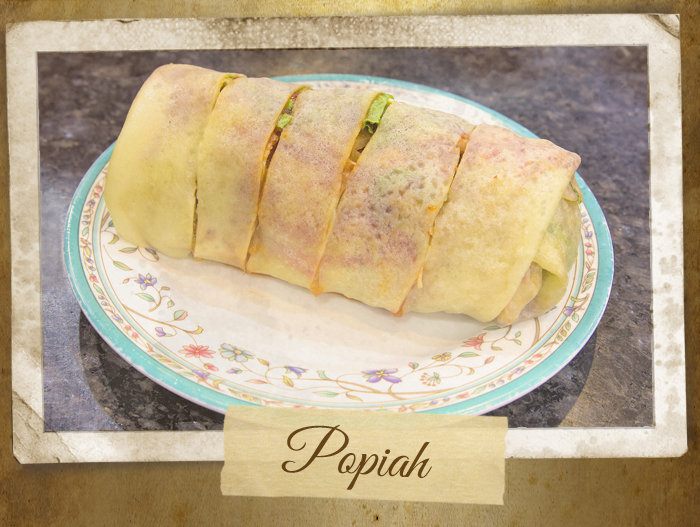 No matter whether it’s a meal or a snack to share, popiah always manage to satisfy every kind of taste bud. 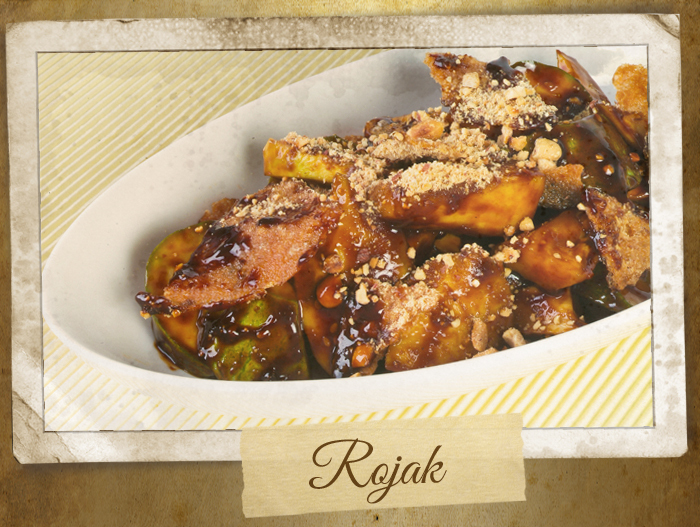 Rojak is a traditional mixed fruit and vegetable salad dish bathed in sweet sauce, plus Singaporean’s favorite chilli sauce. Bean sprouts, taupok (deep-fried soybean cake), greens, youtiao (long strip fried flour), cucumber, and pineapple are the usual ingredients in this quick salad. 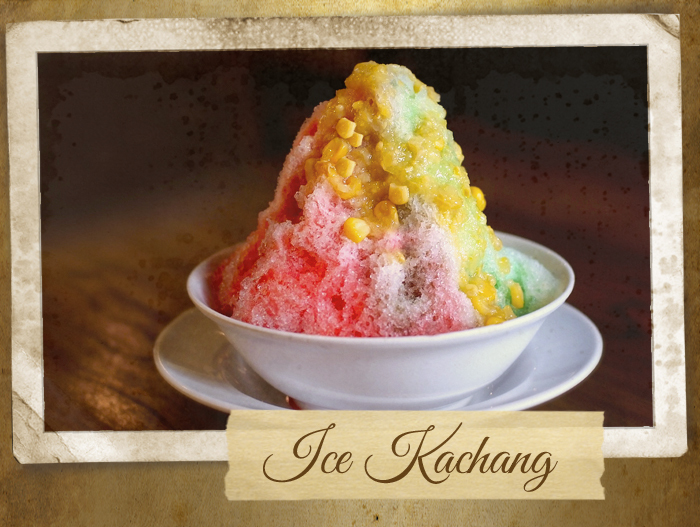 Singapore’s beloved shaved ice dessert has evolved over the years. The current version comes with kachang (red bean), attap chee (palm seed), sweet corn, cubes of jelly and other toppings such as durian and mango paste. 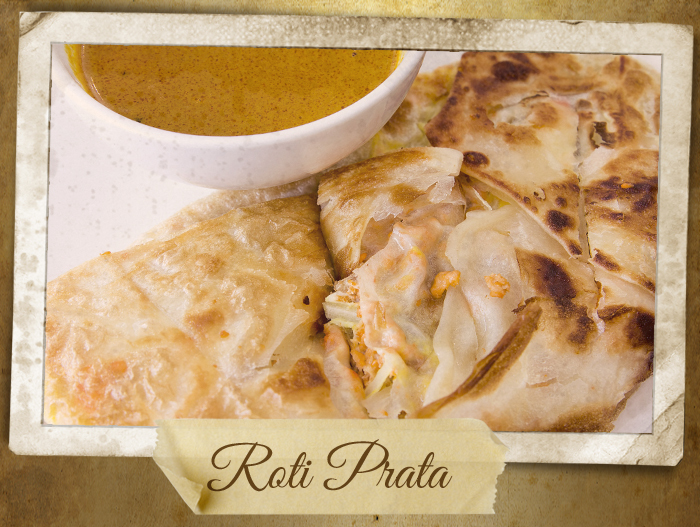 Translated directly into “flat bread”, roti prata is primarily a stretched subtle sweet layered pancake. Dipped in either fish or mutton curry, it makes a gratifying meal as breakfast, lunch, dinner or supper. Or whenever you feel like eating it. 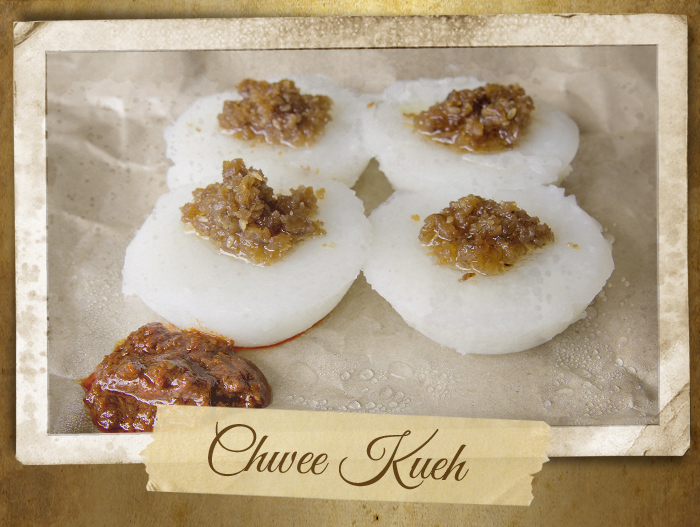 A representative Singaporean hawker dish, these wobbly steamed cakes made from rice flour and then topped with fried chye poh (preserved radish/turnip). Having them for breakfast are bound to hit the nostalgic spot of your younger days. 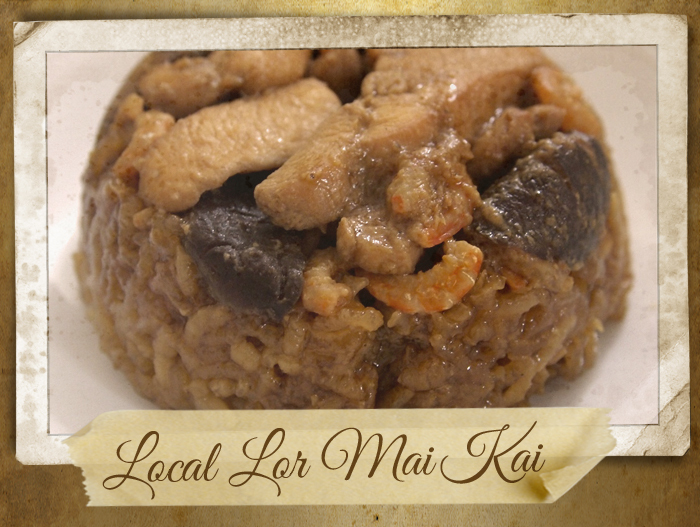 Yes, we are talking about the lor mai kai (糯米鸡) that’s sold with the baos at Chinese coffee shop. The ones that are pre-packed in aluminium bowls and have a paper on top of it showing the brand of the manufacturer. Despite the fact that people these days are more inclined to freshly-made dim sum because of blooming dim sum eateries (read: Tim Ho Wan), these savory concoction of glutinous rice and other ingredients are the ones that accompanied through our childhood and young teenage lives. Rejoice with Re!Fill Restaurant’s new Weekend Brunch!